Today in History—Aug. 21—the largest fire in US history consumed 3 million acres in 1910. It was called by many names, but the most famous is The Big Blow Up! Smoke clogged the air all the way to Denver. Today we see history repeat itself as the top 10 fires in the US are in Montana. My publisher had no idea when they chose this month to release Second Chance Brides Collection containing my novella, Fanned Embers. But on this day, 107 years ago, Missoula became a sanctuary for all the people displaced by the massive fire swallowing up the Pacific NW on the borders of Montana and Idaho. Watch the video below to see what just a fraction of that might have looked like with today’s comparison. It may be the solar eclipse, but it’s a special day for more reasons than that! Please remember to pray for all the people displaced, the firefighters trying to contain the wildfires, and those who have already lost so much. And then please remember those who cannot get clean air. The smoke is causing illnesses in young and old alike from sore throats and headaches to bronchitis and pneumonia. What’s a Pulaski? It looks like this axe/adse and can be used to chop or dig meaning a fireman only has to carry one thing instead of two… Photo links to a Wikipedia article. I’m grateful to a man who lived over a century ago, Ed Pulaski. He invented the tool firefighters still use today. The tool was named after him—the Pulaski. And that’s all the thanks he ever saw. He never received pay. He never achieved the massive fame or success that someone today might with an invention in constant use. But I hope he receives much in heaven for his part in saving so many lives and affecting our world even after his life is done. 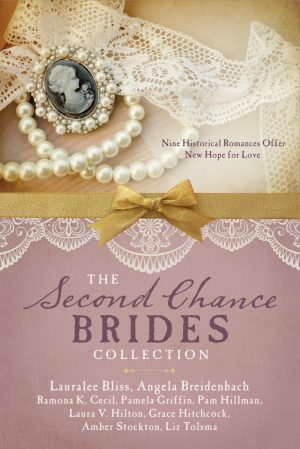 If you’d like to read more about the true story behind the Pulaski, you can get a copy of Second Chance Brides Collection featuring Fanned Embers here. Just click on the book and choose your favorite store. Nine Historical Romances Offer New Hope for Love. Meet nine women from history spanning from 1776 to 1944 feel the sting of having lost out on love. Can their hope for experiencing romance again be renewed? Angela Breidenbach lives in Missoula, MT and loves sharing Montana history. She writes romance through the ages. 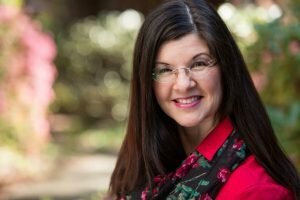 Author of 15 books, she’s also the host of Lit Up—Lighting up the literary world with book reviews, in-depth expert interviews, and ideas to design a lucrative creative career. Listen weekly and expand your imagination to enhance your life — Always family-friendly, always good for your heart. Next Article Next Article: Ageism in Publishing?